Vascular birthmarks are red marks that appear on newborns at or several weeks after birth. They are caused by an increase in the size and/or number of blood vessels in the skin. They can be flat or raised, range in color from pink to red to purple, and can be barely noticeable or highly visible. 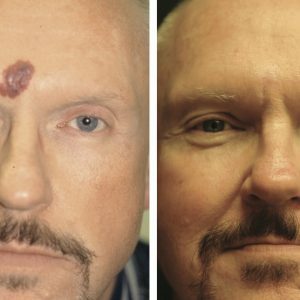 Because they are most often found on the face, vascular birthmarks are more than just physical ailments—they can be psychologically traumatic. *Before and after photos are unretouched from Dr. Matthew R. Kelleher's actual patients. 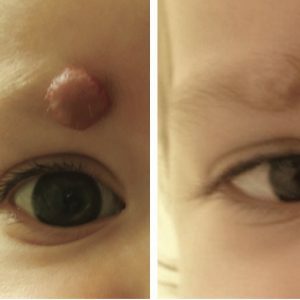 Hemangiomas are blood vessel growths with a deep color and raised appearance that make them much more noticeable than port wine stains. They usually start to appear within a few weeks of birth and continue to grow, sometimes rapidly, until one year of age. After this, they often spontaneously shrink, leaving a reddish, wrinkled quality to the skin. Typically they are one of two types: strawberry hemangiomas (bright red and raised) or cavernous hemangiomas (flatter and blue). Port Wine Stains are deep red stains that often appear as a “splash of color”. 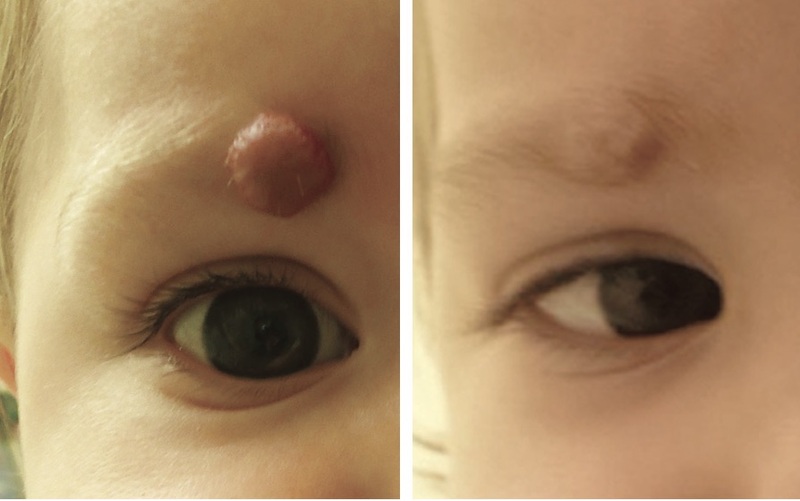 These birthmarks are unsightly and have been associated with health complications such as seizures and glaucoma. The most common types are subtle, pink patches involving the back of the neck (“stork bite”) or mid-forehead and upper eyelids (“angel kisses”). 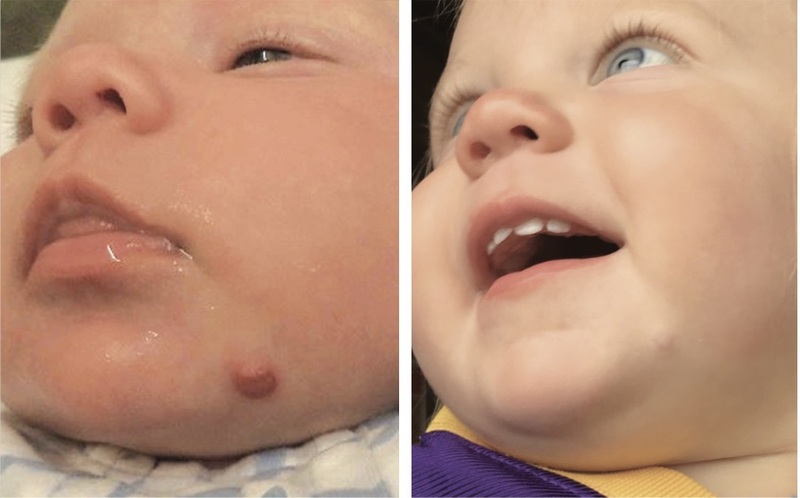 For some individuals, vascular birthmarks fade without medical intervention. For many others, though, they persist through adulthood. Fortunately, innovations in medical technology allow physicians to treat these unsightly marks. 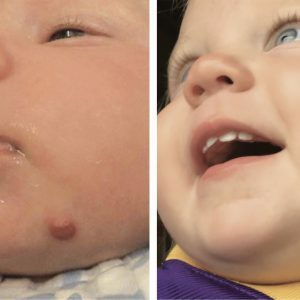 Through laser surgery, Matthew R. Kelleher, MD, Medical Director of Premier Dermatology, can significantly reduce or eliminate vascular birthmarks. 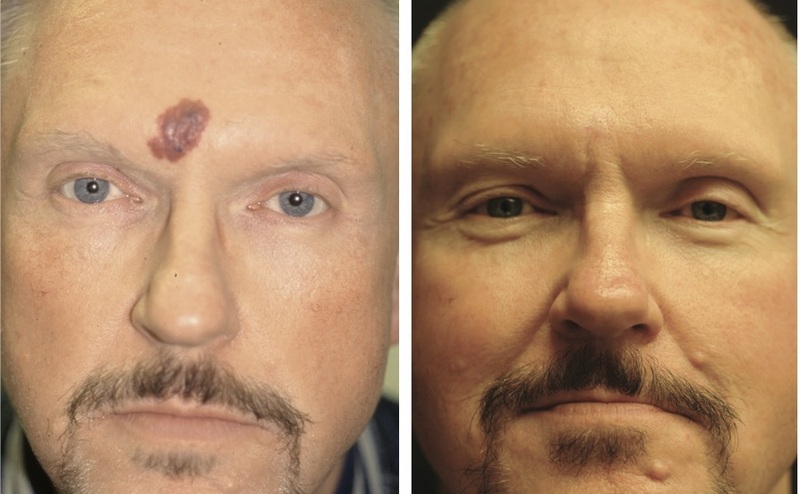 The V-Beam laser offers the best treatment option for most vascular birthmarks. Its wavelength of light is optimally absorbed by redder and more superficial vascular birthmarks. Deeper birthmarks that are more blue and purple in color are more effectively treated with the Alexandrite or Nd:YAG laser. 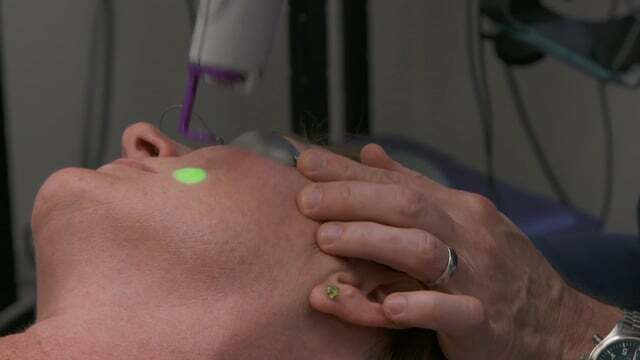 Fortunately, Premier Dermatology s uniquely equipped with the vast array of laser technology necessary to treat the range in vascular birthmarks that exist. More importantly, Dr. Kelleher is expert in vascular birthmarks treatment.